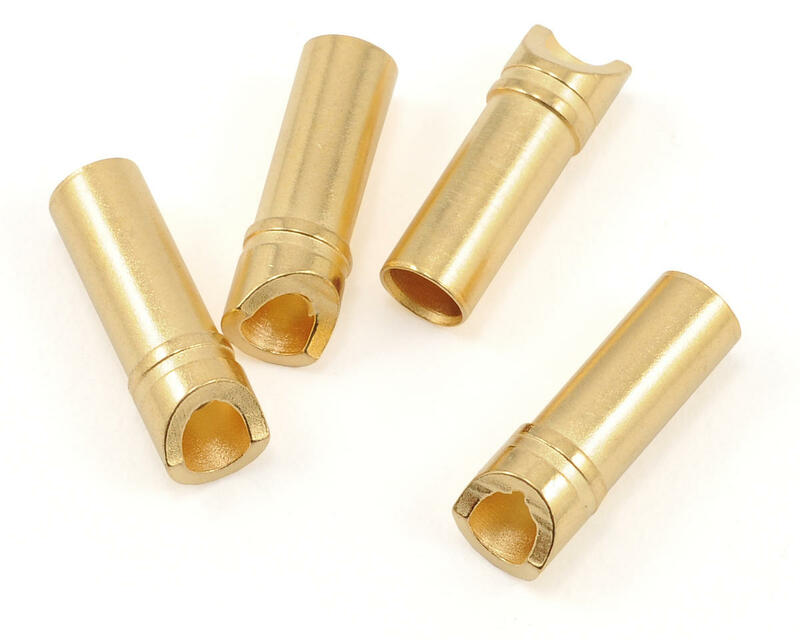 This is a pack of four female 3.5mm diameter gold plated "Super Bullet" high current inline connectors from ProTek R/C. 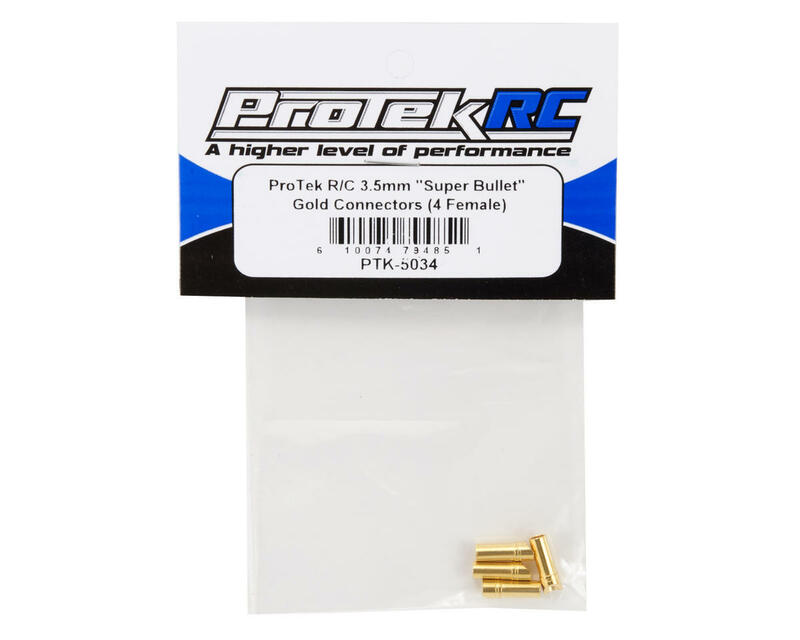 The ProTek R/C "Super Bullet" Solid Gold Connectors are an absolute must for high current / high voltage applications! With lower resistance than a typical Dean's style ultra plug and traditional spring-type bullet connectors, they are the new standard for brushless motor applications. They can be used for battery connectors or motor to speed control connectors. They are the ideal power connector for devices such as speed controls, battery chargers, and power meters.